Click the button below to add the Copper Bathtub '9920' to your wish list. French style for centuries was used as an inspiration for home decor including bathrooms. Why? French copper bathtub is elegant and comfortable to use. With drain located on the center, it can accommodate up to two. Model '9920' shown on the image was handcrafted in dark coffee with optional natural fired, honey and antique patina. Antique finishing makes a brand new tub looking old European looking even though it is brand new. 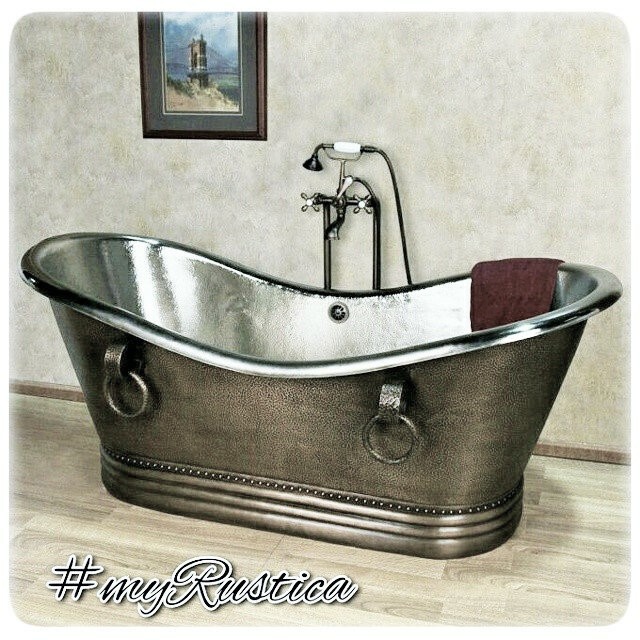 As any other Rustica House brand copper bath fixtures, French copper bathtub can be equipped with a drain back system. It prevents water going over the edge and flooding the bathroom.